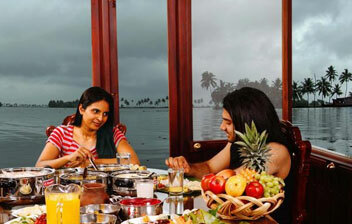 In the Indian tourism landscape, Kumarakom holds an enviable position. It enjoys it by way of its natural beauty, eco-sensitivity, the rarest of rare bird sanctuaries and the verdant village ambience that jell perfectly with the magnificence of Arabian Seascape. It's of course too rare a spectacle to be missed out. When you float out on the waters, you will find flocks of egrets and snakebirds in close quarters; the way they maneuver their way deep down into the water and surface with an unusual kill perched in between their bills. 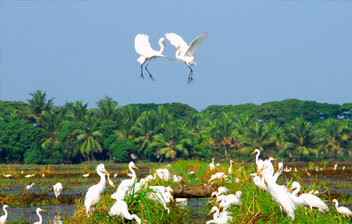 Kumarakom offers a rare school for bird-lovers and ornithologists. Bird lovers from around the world frequent this pristine preserve that roosts extraordinary migratory attractions. Like some close encounters with them? Sit back, out in the open of the boat, and let your eyes wander. It's a treat to your eyes if you could sport a binocular. Farther and farther you cruise, there is another dish of virtual reality floating on the waters. It's the famous Pathiraamanal, a lovely island in the lagoon. 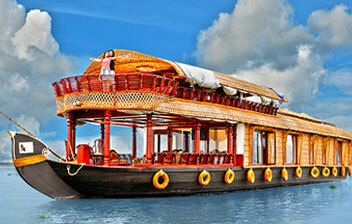 Kumarakom castle is a well established tour operating and Kerala Houseboat cruise firm established in 2007. 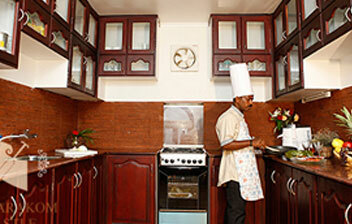 They strive hard to provide impeccable service and unparalleled facilities so every stay is a memorable one. Kumarakom castle has won international acclaim for its quality houseboats and its excellence in dining, interiors, lavatory and personalized service. They have had some really important guests onboard including the honorable president of India Mrs. Pratibha Patil who cruised Kumarakom backwaters on the superior luxury houseboat on 14th August 2010. Everything is divinely set at an ambience of nature and its verdant luxuries; water and it's never ending ripples, and the breeze and its trickling whistles. Indulge yourself and go musing your way to a new zone of private comforts in the ins and outs of Kumarakom Castle. The kitchen crew sports, up in their sleeve, a very rare culinary skill which perfectly blends all the impulses of your taste buds and the ingredients of a traditional food culture. They platter out oodles of Indian, Chinese, Continental recipes, together with lots and lots of traditional cuisine top ups, all prepared in an impeccably hygienic ultra-modern kitchen. Of course, there'll be mineral water all the way. 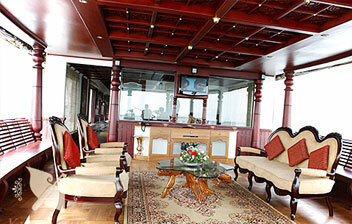 The glamour room on the top is furnished with the most sophisticated of imported hind wares and fitments. It is your sheer personal space for a cool or hot shower, or for an inward cleansing.